Love to collect handmade pottery? Find your favorites & discover new artists at Heartwood Gallery! For over 30 years we have showcased traditional & contemporarypottery from all over the US. Carved leaf mug by Sylvia Coppola of Duck Creek Pottery in Indian Trail, North Carolina. Happy first day of spring! What signs of the new season do you see where you are? Songbird card by Linda Chamberlain. Sparkling new earrings have arrived from Holly Yashi! These colorful dangling pieces are lightweight like feathers. Leaf Leather purses, wallets, & clutches by C. L. Whiting come in a variety of sizes & styles to fit your needs. Find your favorite handmade Leaf Leather bag at Heartwood Gallery! We are open Mon-Thurs 10-5, Fri & Sat 10-6, & Sunday 11-4. Call (828)749-9365 or e-mail info@heartwoodsaluda.com for artist & gallery information. Enjoy your fine dining with handmade porcelain dishes by Alice Goldsmith & copper utensils by Jill Rikkers. Find them at Heartwood Gallery! What fun & happy colors! These eco-friendly earrings are just in from Illinois artist Veronica Riley Martens. Veronica dyes tagua nuts sustainably harvested from the Amazon rainforests. Come find your favorite tagua hoops at Heartwood Gallery! Brighten up the place with handmade pottery, like this vase by North Carolina artist Ronan Peterson. It’s perfect for bringing in your favorite springtime flowers! New artist alert! We have colorful Necknots from Toronto, Ontario at Heartwood Gallery. These colorful fabric infinity necklaces twist & knot in a variety of playful ways to accent to any outfit. 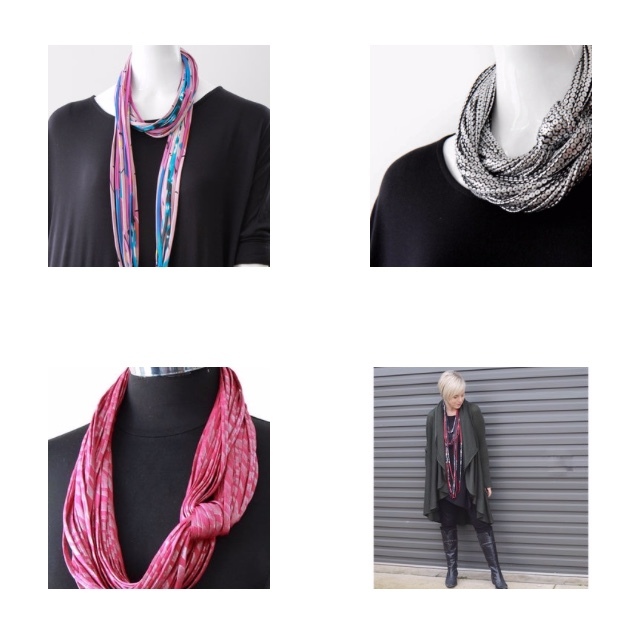 Find out the different ways to wear your Necknots at Heartwood Gallery, & find your favorite color combo! Did you remember to set your clocks back yesterday? Wooden clocks by Schlabaugh & Sons with ceramic tiles my Motawi Tileworks. Aquamarine & oxidized sterling silver play nicely together in these earrings handcrafted by by Sarah Chapman of Minneapolis, MN. Find more of her work at Heartwood Gallery.